The Karen National Union’s armed wing, the Karen National Liberation Army’s 7th Brigade based in Hpa-an District, has entered a commercial venture – a trading and tour company. for the first time in its history earlier this month. 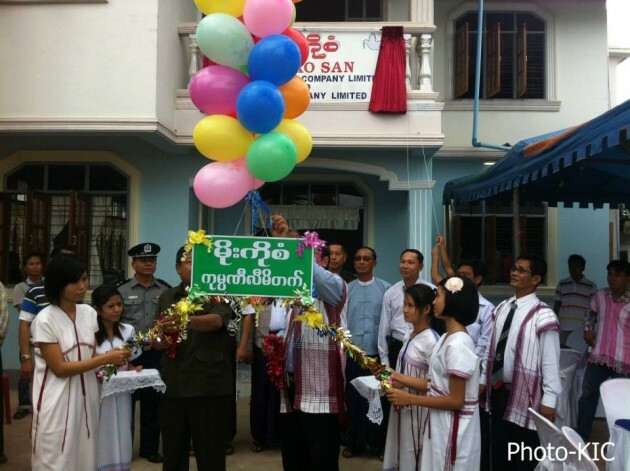 The legally registered company is named as the Moe Ko San Travel and Tour Company Limited and Trading Company Limited and it has opened its offices at Thiriminglar Street in Myawaddy Town, Karen State. The company’s managing director, Saw Moses, told Karen News that the company is officially registered and is owned by the KNU’s 7th Brigade. Speaking to Karen News, Saw Moses said. The company will mainly start working by collaborating with travel and tours companies from Thailand, Japan and in the United States. The KNU’s company and will also run an import and export business. Saw Moses said the company office would also act as the KNU 7th Brigade economy office to deal with national and international businesses. A member of a Karen community-based-organization, who asked not to be named, spoke to Karen News about the KNU’s investment business. Saw Moses said that with no guarantee of a political settlement between the Burma government and the KNU, the business would have to be carried in a systematic way to carefully monitor political development before it expanded. The KNU company opening ceremony was attended by as many as 100 people including Colonel Paw Doh, Major Lah Moo, an in-charge of the Myawaddy Liaison Office and U AungMyint, a deputy police officer of Myawaddy District, U Aung Win Thein, a directore of the District Immigration office, and representatives from the business community. The location of the Moe Ko San Travel &Tours Company Limited and Trading Company Limited office used to be the KNU’s Myawaddy Liaison Office and this is the first time the KNU has run a business with the official permission from the Burma government.